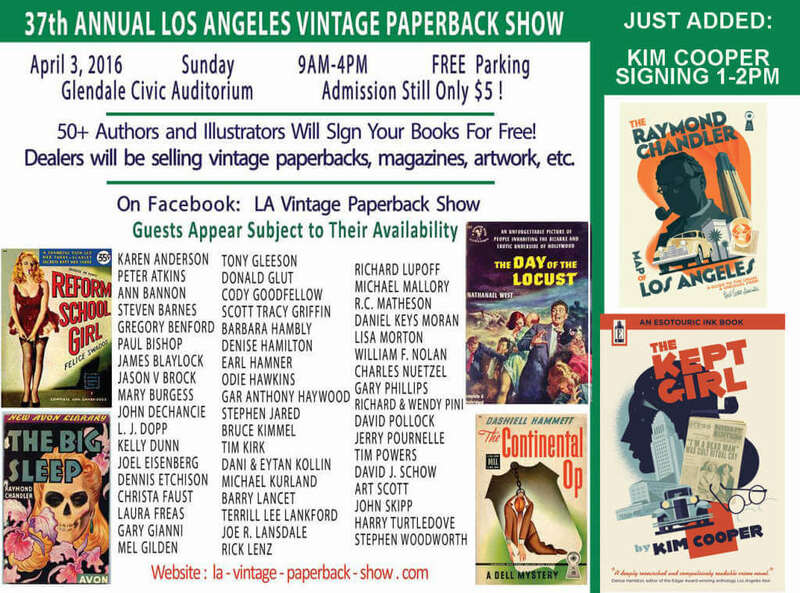 Join L.A. true crime historian Kim Cooper, co-creator of the Esotouric bus adventures tour company (The Real Black Dahlia, Pasadena Confidential) and author of The Raymond Chandler Map of Los Angeles and The Kept Girl at the 37th Annual Los Angeles Vintage Paperback Show. From 1-2pm, Kim will be signing and selling copies of her Raymond Chandler-themed novel The Kept Girl (paperback in deluxe art deco wraps editions) and the new Chandler map published by Herb Lester, both with stunning cover art by Paul Rogers. Drop by if you’d like something signed. And you’ll want to make time to explore the show, which runs from 9am-4pm and includes scores of wonderful dealers of rare books, magazine and artwork plus dozens of terrific authors on the pulp side of the shelf, signing their work for you. Free parking, $5 entry. 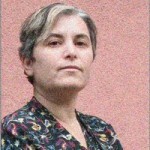 More info is here. This signing takes place from 1-2pm during the L.A. Vintage Paperback Show, and you can purchase show tickets at the door of the Glendale Civic Auditorium. Hope to see you there!